"Liver cleanses" that involve drinking oil and juice are an alternative remedy for both liver stones, formed in the liver, and gallstones, formed in the gallbladder. There is no evidence these cleanses, called liver or gallbladder flushes, do any more than act as laxatives. Some liver cleanses contain potentially harmful ingredients, so talk to your doctor before self-treating liver stones. Compared to gallstones, liver stones are extremely rare in the western world, according to Quackwatch. This is because the liver produces bile that is between 5 and 10 times less concentrated -- meaning weaker -- than the bile in the gallbladder. However, sometimes stones produced by the gallbladder will fall into the liver. The theory behind liver cleanses is that properties in oil and citrus juice will help break up liver stones and gallstones and then flush them out of your system through your bowel movements. If you try a liver cleanse in the evening, you may see round globs in your stool the next day. You may think you're seeing gallstones, but you are simply looking at balls of oil, according to Michael F. Picco, M.D., of Mayo Clinic. If you pass a gallstone, it will sink, not float as oil balls do, according to Peter Moran, author of "The Truth about Gallbladder and Liver 'Flushes.'" 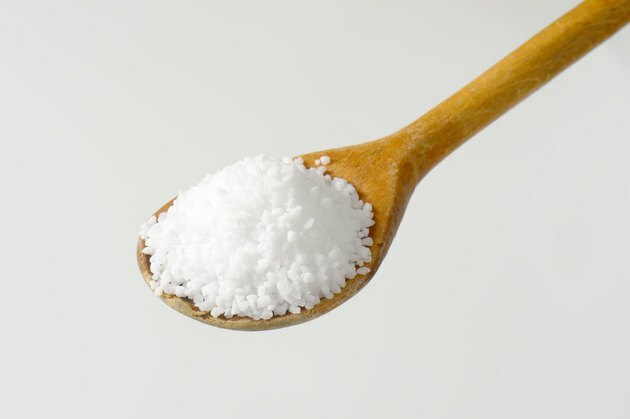 Some liver cleanse recipes include magnesium sulfate, commonly called Epsom salt. It will not help dissolve or expel stones from your liver or gallbladder. It may work as an added laxative. Mild side effects of a liver cleanse include stomach upset, such as abdominal pains, vomiting and diarrhea. A liver cleanse may help clean out your bowel, but it will unlikely rid you of liver stones or gallstones, according to Quackwatch. Do not add Epsom salt to your cleanse without discussing potential consequences with your doctor. Too much magnesium sulfate can be poisonous to your body and can cause serious, potentially fatal side effects. Consuming magnesium sulfate can cause you to collapse or become comatose. Magnesium sulfate consumption can also cause a dangerous drop in your blood pressure, as well as cause your breathing to slow. A magnesium sulfate overdose may result in death. What Different Ways Can You Cook Liver for It to Taste Good?